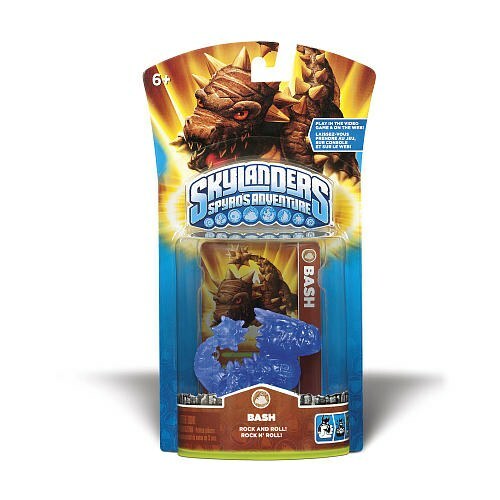 do you think that the new skylanders giant looks crap cos it doesnt look that bad but giants thats just wierd.i recon they should of used giants in the game but instead of being them you had to beat them(boss battle) because its was to easy beating kaos(maby not for some people) but like i said they where to easy for me and with the giants wonce you beat 1 its splits into to and then you vs them again and them win. that would be fun. I think it looks pretty decent. It would be nice to have enough right out of the gate to complete things. I wouldn't mind seeing a difficulty setting and 1P for Battle Mode (or Online would be great). I'm sure we'll get trailers come mid Summer or so. online would be kool if it was like skylanders universe now that would be better! Yeah, I'm surprised they didn't do either Online or Single Player. Activision has plenty of experience with online stuff...I'd have been content with single for now though. Do you think they will make a dark spyro single pack? Personally I don't think they will. He will prob stay a 3DS Exclusive...that way if you want him, they get more money:s Hopefully you've got a 3DS. Fwiw, the game is totally different so it isn't a horrible way to spend the money. Is that what they go for up there? They are $169.99 in the US. 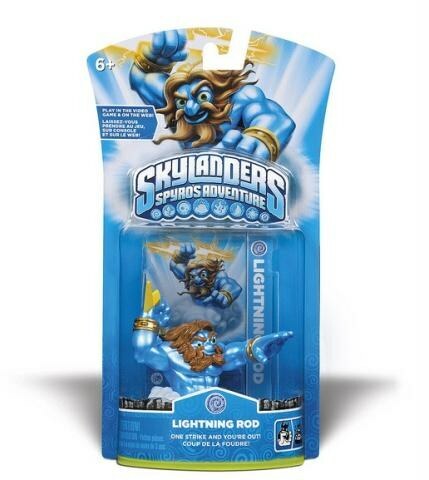 There are people that sell individual Skylanders on Amazon/Ebay, most are individuals out to make a fortune or ToyWiz. Some stuff TW is decent on, Skylanders is not one of those things. In all honesty, I doubt you'll find one for less than $30-40 and at that price point you just as well spend the extra $10 and get the 3DS Starter Pack. Then you can trade/sell the game/portal/cable/Stealth Elf/Ignitor. It is worth considering the 3DS game...if nothing else view it as Ignitor+Dark Spyro for $20 and you are only paying $30 more...sell Stealth Elf for $10 and then see if you can trade in the game or something to recoup the cost. Really comes down to how much you want to spend, lol. Good luck either way! Cool, I'm still hoping to land him and Zook soon...no dice locally. Just FYI, Zook and Lightening Rod hit our local Walmarts today (I'm a game rep for several walmarts). Also the Ice Adventure pack. Good Luck! Thanks for the tip...I've been reading that online for awhile. I think mine have gotten them, I just haven't seen any, lol. I'm pretty sure the scalpers, there are two e-bay sellers in my area, pick the "new" stuff up early each morning. I only see Eruptor/Drobot/Prism Break etc at Wal-Marts here. Hopefully they get flooded and stock sporadically or as needed..that would help people like me land one. Hope you can pick up the new stuff as it comes in!